Lavender (Lavandula angustifolia) essential oil comes from a fragrant, bushy evergreen in the Lamiaceae (Labiatae) family of plants. Lavender essential oil smells like a floral summer breeze, fresh and herbaceous with sweet undertones. The type referred to here is L. angustifolia, which is known as 'true' lavender, garden lavender, or common lavender. Botanically, it may be called L. vera or L. officinalis. L. angustifolia has two subspecies, L. fragrans and L. delphinensis. This form should not be confused with spike lavender (L. latifolia), or lavandin essential oil (L. x intermedia), which is a cross-breed between true and spike lavender. French lavender (L. stoechas) is another form you may come across. It is a smaller bush with darker flowers. The type growing wild at high altitudes over 2,800 feet, especially in Provence in the Alpes de Haute region, is considered 'true' French lavender and the finest available. There are two other so-called 'lavenders,' cotton lavender (Santolina chamaecyparissus) and sea lavender (Statice caroliniana). While they share the lavender name, they are not in the same botanical family. Lavender is a prime example of the need to look for botanical names and place of origin when choosing oils, as the active constituents within are determinate of the area in which the plant was grown. For example, the oil is high in linalool and linalyl acetate, but the one that is higher depends on the region where it comes from. Native to mountainous Mediterranean areas, the common lavender plant features woody branches and spike-shaped oblong grayish-green leaves with a silverish down. The upright shoots on the plant end in spirals of blossoms in lovely shades of lavender and purple. It is the volatile oil in those flowers that give the plant its signature scent. Near large lavender fields, you can smell them on the breeze for miles around. Today, oil from lavender is produced in many places around the world, including Australia, Bulgaria, England, Greece, Italy, Russia, Tasmania, Spain, and the United Kingdom. The oil can be without color but is usually somewhere between a pale to greenish-yellow. It is steam distilled from the flowering tops of the plant, but there's also an absolute and concrete produced in small quantities by solvent extraction. Lavender oil is chemically complex, possessing within it more than 100 constituents that work synergistically. It is rich in aromatic esters, making the oil antispasmodic, sedative, and calming, among other benefits. The oil blends well with many other oils whether they are floral, woody, spicy, or citrus. You can grab anything from black pepper (Piper nigrum) or clove (Syzygium aromaticum) to patchouli (Pogostemon cablin) or vetiver (Vetiveria zizanoides), and it will likely go together well with it. The word 'lavender' comes from the Latin 'lavera,' which means 'to wash.' The Romans, famous for their baths, used the flowers to fragrance the waters in which they bathed, as did the Greeks and Ancient Persians. Medieval and Renaissance-era Europeans scattered lavender around castles to freshen up the musty stone. It was also used during the 17th-century Great Plague of London as both a deodorant and natural disinfectant to protect against the Black Death. Lavender isn't just used for its amazing smell. The plant and its oil have been used through the centuries as a remedy for a wide variety of ailments. It is often considered the most versatile of all essential oils for a good reason, as there are countless uses for lavender. Here is just a small sampling of all that can be done with the king of volatiles. There is no doubt a quality lavender is a favorite scent for many people. Walking through your favorite grocery or department store, you are bound to find a plethora of items boasting the popular smell. Pour the vodka or witch hazel into a spray bottle large enough to hold all of the ingredients. Add the drops of oil and shake well to disperse them, then add the water and shake again. Spray in the air, on linens, drapes, or even your pillow for a peaceful drift off to dreamland. Both the lavender plant and its oil makes an excellent ingredient for homemade potpourri. You can dry the flowers and plant, or add the oil to whatever material you are making yours out of. Mix the blend. Put a cup or two of your prepared plant material in a Ziploc bag and add the blend, shaking gently to mix. Leave this in the closed bag for a few days, so the scent is soaked in well. Stress is a part of everyday life. We all go through it, and essential oils can help relieve stress and anxiety and leave you feeling relaxed. Lavender is a great addition to bends for this, as it has calmative and balancing properties. There are many ways to take advantage of these. The following blend can be used in a number of ways as shown below the recipe. Add all of the oils to a small dark glass bottle. To use the blend, follow these instructions. Add a couple drops to the shower floor and breathe in the aroma. Mix 5 drops to a teaspoon of carrier oil or Epsom salts and add it to your bathwater. Use 3-5 drops in a tablespoon of carrier oil to use as a relaxing massage. Place the required amount in your diffuser for a relaxing ambiance in your room. Make a personal inhaler with the blend or add a drop or two to a napkin or cotton ball and breathe in when needed. If using as a massage oil, either use bergapten-free bergamot or do not go out in the sun for 12 hours. Also, because of the clary sage, do not use this blend while consuming alcohol, as it can intensify the effects. This blend may make you sleepy, so don't use while driving. Lavender essential oil is a go-to choice for many people that suffer frequent headaches. Whether caused by stress or any number of things, inhaling the oil can bring fast relief. You can use it on its own, or mix with peppermint (Mentha piperita) or Roman chamomile (Anthemis nobilis). Pain is a highly personal thing. What doesn't bother one person could be debilitating for someone else. No matter where you are on the pain scale, essential oils can help ease your suffering. Put all of the drops in a dark glass bottle and shake well. To use, add 3-4 drops to a teaspoon of a carrier oil and use where necessary. Everyone wants to be able to say they love the skin they're in. Unfortunately, our bodies often have other ideas. The skin is the largest organ in the body, and when problems arise inside, they often rear their head on the outside by way of skin issues. Lavender essential oil is extremely good for many skin conditions, ranging from just using as a balancing ingredient for lotion to helping clear up eczema and psoriasis due to it being an anti-inflammatory. The oil is a beneficial addition for face care products, as well. Whether it is wrinkles you are worried about or acne, lavender essential oil can help. There is a famous story about chemist René-Maurice Gattefossé discovering the healing powers of lavender after an accident when he supposedly plunged his burned hand into a vat of the essential oil. While that is not how it happened, he did indeed help heal himself with lavender oil. If you get a burn that does not require medical attention, cool it down by immersing it in ice cold water. You can then add a drop or two of neat lavender oil to the burn to speed the healing process. Mix the oils together and add them to five tablespoons sweet almond oil (Prunus amygdalus var. dulcis). Apply this to the affected areas after bathing or showering. No matter how careful we are, bumps and scrapes are inevitably going to happen every once in a while. When they do, add 4-5 drops of lavender oil to warm distilled water and swish to mix well. You can pour this over the wound or wet a clean cloth with it to wash the area. This can be used on smaller scratches, scrapes, and cuts, but should not be used on deep, penetrating, or large gashes. You can also add a couple drops on gauze to wrap the area for its healing benefits. Essential oils can help you rid your home of toxic chemicals. Many are antimicrobial and can help in every area of the house, from the laundry room to the kitchen and even the bathroom. Mix the oils in with the borax and sprinkle all over the areas to be cleaned. Be sure to do a spot test on porous or sensitive materials to make sure it will not scratch or stain them. You can use this in the same manner as powdered bathroom cleansers. Place all ingredients in an old spice shaker and shake well. Alternatively, you can pulse them in an old blender or food processor to mix well then transfer to your container. Shake onto the carpet and let sit for half an hour, then vacuum up. Be sure to keep animals out of the room when using. The varied properties of lavender oil provide a wealth of health benefits. As you can see by the uses listed above, it can be utilized in many ways depending on your needs. Now that you know how to use it in many ways, let's look at the many benefits of lavender oil. Aromatic molecules in the air around you provide more than just a pleasing scent. When you diffuse lavender, you can experience a lift in mood, ease a headache or nausea, and calm nervousness and anxiety. It can also help you sleep when insomnia strikes. Stress is a major contributing factor to many of today's debilitating diseases, especially those of the heart. It raises blood pressure, can cause stomach upset and headaches. It can also cause serious damage over time that people are often not even aware of as it is happening. Lavender oil is an analgesic and spasmolytic, so it can help many different types of pain. You can add it to a carrier oil on its own or in blends for tense, spasming, or sore muscles, aches, sprains and strains, arthritic or rheumatic joints, and much more. Alternatively, you can make a simple liniment out of lavender oil and vodka to rub on aching muscles and joints. Add ½ teaspoon lavender essential oil to ¼ cup vodka and rub into the sore areas. As shown above, lavender is extremely beneficial for the skin. You can use it in oils, lotions, natural shampoos and conditioners, hair oils, and so much more. It can help with acne, blackheads and breakouts, dry hair, dry skin, and any condition that requires balancing. Its anti-inflammatory benefits bring relief to conditions caused by inflammatory responses like overly dry skin, eczema, and psoriasis. It can help relieve the itching and burning associated with these issues as well. Lavender oil is one of the oils recommended for hair loss, even in cases like alopecia, where the hair is falling out due to factors like stress. The next time you get a bug bite, whether it is a mosquito or no-see-um that causes intense itching or pain, dab a drop of lavender essential oil on it for instant relief. If you have it, use a drop each of lavender and Roman chamomile. You can use this for spider bites as well. However, if it is a known dangerous spider, do not count on essential oils. You can use lavender neat on it every 5-10 minutes, but do it on the way to a hospital. Whether it is from motion sickness, morning sickness, or just random nausea, breathing in a whiff of lavender can help calm waves of nausea. Add these oils to a tablespoon of a carrier oil like fractionated coconut (Cocos nucifera). Rub a little on the abdomen in a clockwise motion. This makes enough for 3-4 treatments and can be used up to three times a day as needed. Not only can the oil help with bites as outlined above, it can help you not get bit in the first place by keeping insects away. Place one drop neat on your socks, cuffs, etcetera. Mix two drops in two teaspoons of a carrier oil and rub on exposed skin. Place a drop or two on cotton balls, strips of fabric, or paper and place in the window sill. For a spray, add five drops of the blend to each tablespoon of witch hazel or vodka. You can also just use this mix to splash on, then rub into the skin. Use 2-3 drops of this blend to your final rinse water or apple cider vinegar after shampooing to deter lice infestations. Lavender oil is one of the most studied of all of the plant volatiles. On Pubmed, there are hundreds of results returned. Here are some of the most compelling. Many essential oils have antimicrobial effects. They can be antibacterial, antifungal, or antiviral. Some are all three. In 2013, researchers set out to determine whether the antimicrobial effects increase when combinations of oils are used. What they discovered is that depending on which oils are mixed, and at what ratios, different results are had. For instance, they found that the blends can be synergistic, additive or in one case, antagonistic against microbes. When lavender was combined with cinnamon (Cinnamomum zeylanicum), it was more effective against Candida albicans. This is the common yeast that can wreak havoc when it multiplies beyond the normal rate in humans. A study on wounds on rats in 2016 showed significant healing capabilities of lavender oil. In the study, rats received full-thickness skin wounds and were either treated with lavender oil or a control solution for 14 days. The researchers found an increase of fibroblasts in the wounds of the rats treated with the oil. Fibroblasts synthesize collagen, which is a major contributing factor in wound healing time. The more fibroblasts and collagen present, the faster a wound heals. The wound healing capabilities of lavender oil can translate to real-life scenarios, as researchers found years before those in the above study. In 2011, 120 women that had normal vaginal births were treated for their episiotomies. The women were randomly split, with some of the women being treated with lavender oil and the control group being treated with povidone-iodine. There was not a significant differentiation in complications. In the control group, only 17 of 60 women had no pain at 10 days, while 25 out of 60 women in the lavender group were no longer in pain. Furthermore, the women in the lavender group had less redness present at the site. There are many different types of 'lavenders' in the world. The most commonly used type in aromatherapeutic settings is Lavandula angustifolia. Around the home lavender oil can be used in a wide variety of ways, only limited by your imagination. It can be used in beauty preparations, hair products, and more. What lavender oil can do for skin issues is nothing short of amazing! With essential oils like lavender, you can forgo the chemicals and make your own home cleaning products, air fresheners, laundry detergent, or just make your house smell amazing. Therapeutically, there are many benefits of using lavender. You can reduce headache severity, ease nausea, relax after a long day at work, beat insomnia, and reduce stress. Among its many abilities, it is an analgesic, antidepressant, anti-inflammatory, and fights microbes. 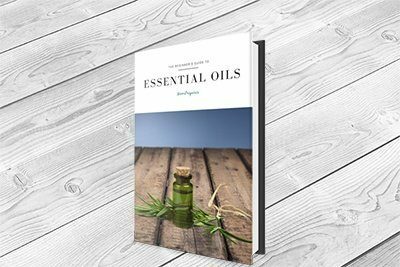 If you have ever wondered how to use lavender oil, hopefully this profile entry has given you a good start to get the ideas flowing. The sky is the limit with this oil, as it truly is one of the most useful in the world.